But are there any standard features? According to , the price tag of a 2018 Ford F-150 Raptor has just increased this month by $660 for both the Super Cab and Super Crew variants. Before the price change, the 2018 Raptor Super Cab started off at $51,510 while the Super Crew’s price tag began at $54,495. You’ll now have to pay at least $52,170 and $55,155, respectively. All pricing includes destination. What’s even more interesting is that this isn’t the first time the 2018 F-150 Raptor has undergone a price boost. 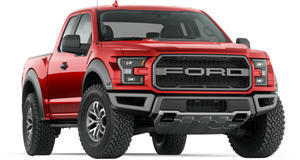 Earlier this year, the Raptor started off at $51,080. Do the math and that’s a $1,090 increase in only a matter of months – and this is before the goes on sale later this year. There’s a good chance it too will cost a bit more than the 2018 model, but that actually makes sense considering it features new shocks, Recaro bucket seats, and a Trail Control system, among other things. The 2018 model, on the other hand, doesn’t appear to be any different this month than it was last fall, unless we somehow missed some announcement. 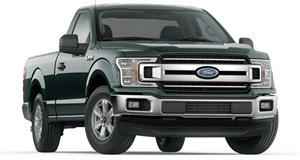 And, as it turns out, the Raptor isn't the only F-150 trim to undergone a price boost this month. The F-150 Limited now carries a starting price of $62,855 for the 4x2 and $66,280 for the 4x4. That’s a $610 increase from last month for both. also points out that in addition to the higher sticker prices, there’s a $100 increase in destination charge, now totaling $1,495. Compared to last year at this time, there’s been a $1,000 increase for the F-150, despite little to no changes in standard equipment.